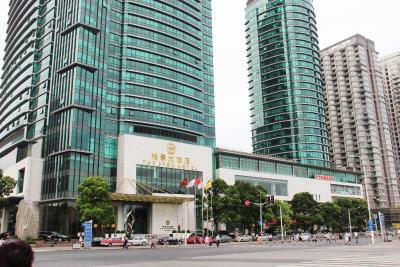 Location is excellent , walking distance to the Financial Center. Nice and comfortable room for an affordable price. 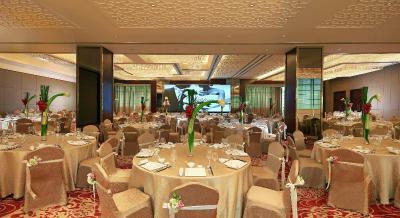 Check in Reception and Concierge staffs give me very good impression. The room size is good and very comfortable. 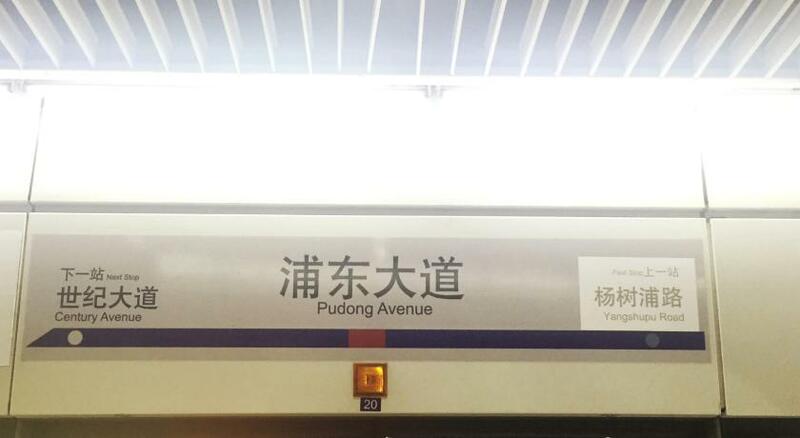 The subway station is near by make travelling so convenient. bed was very comfortable shower good also staff were very friendly , check in and out very simple , I book a return cab easy through the bell boys. bar area very good. The breakfast more than caters for all meal types. The room was comfortable, great bed and bedding. Close to metro station. Room views where great. 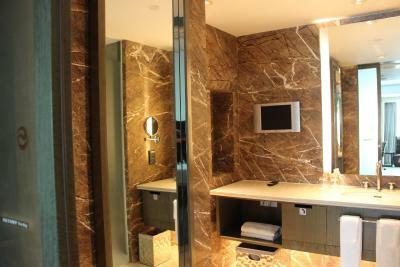 Bathroom was big and bed very comfortable. Excellent hotel for the price you pay. 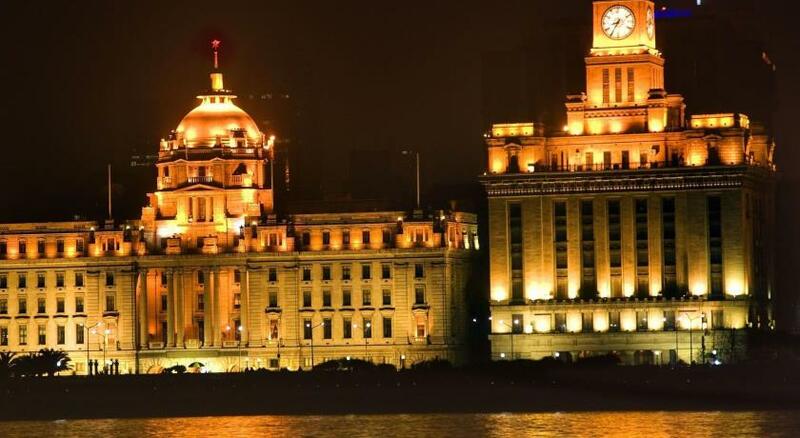 One of our top picks in Shanghai.Eton Hotel is located in central Shanghai, a 10-minute drive from Lujiazui Financial District. 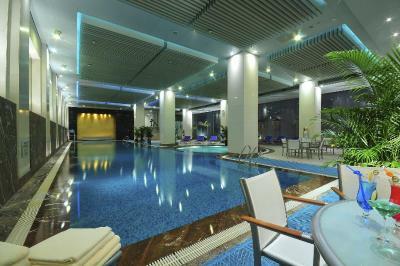 Just steps from Pudong Avenue subway station, the hotel offers luxurious accommodations, 4 restaurants, an indoor pool and a spa. 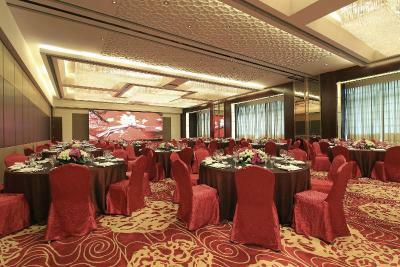 The hotel is a 10-minute drive from The Bund and a 15-minute drive from New International Expo Center. 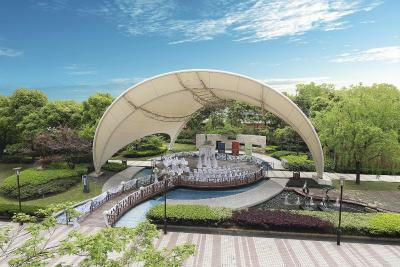 Century Park is a 15-minute drive away and Pudong International Airport is a 45-minute drive away. 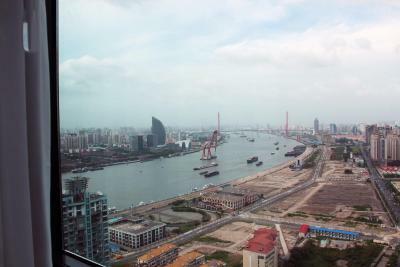 Shanghai Disneyland is a 36-minute drive away. 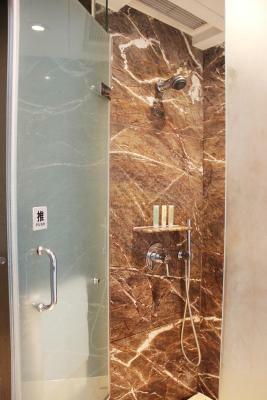 Guests can exercise at the well-equipped fitness center or soak in the hot tub. Beauty treatments and massage services are also available at the spa. 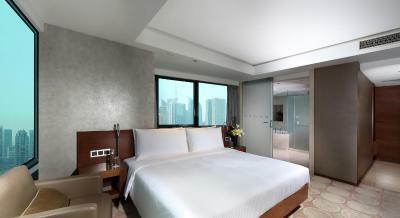 When would you like to stay at The Eton Hotel Shanghai? 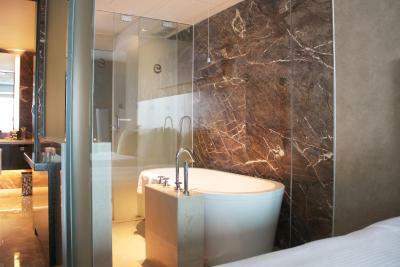 Features city views and flat-screen TVs in the bedroom and bathroom. 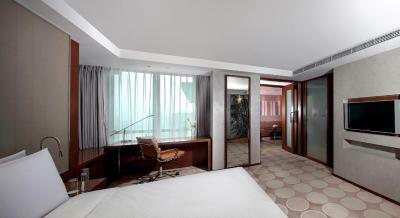 Spacious corner rooms on floors 25-37 overlook The Bund and come with 2 flat-screen TVs. 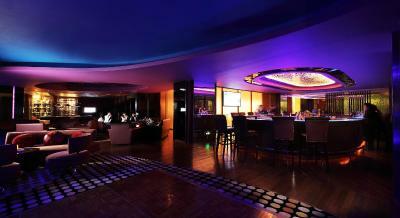 Features sweeping city views from floors 38-40, free internet and Club Lounge benefits. There is no capacity for extra bed for this room. There is no capacity for an extra bed for this room. One free extra bed can be added. 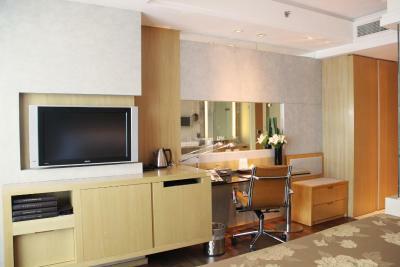 This room can offer up to 3 breakfast. This family room has a mini-bar, bathrobe and flat-screen TV. 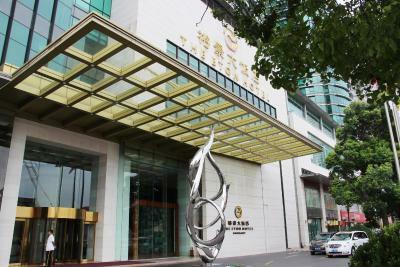 The Eton Hotel, Shanghai is an International Deluxe Business Hotel, strategically located in the heart of Lujiazui Financial District in Pudong. 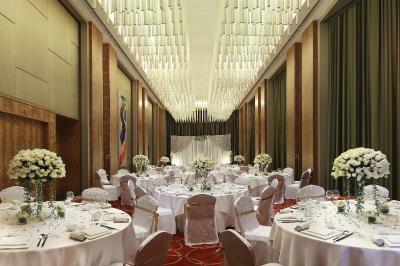 The hotel has 460 luxuriously appointed rooms, six Food and Beverage outlets offering versatile international cuisine. 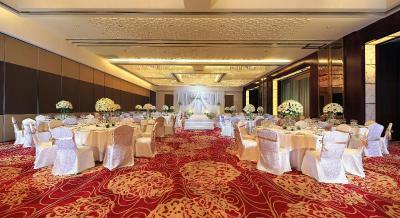 It's an ideal venue for your business and leisure activities. 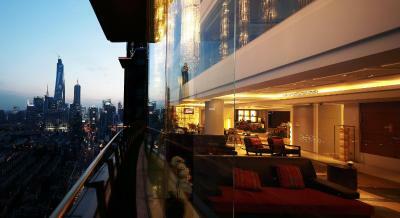 House Rules The Eton Hotel Shanghai takes special requests – add in the next step! Greatwall Dragon The Eton Hotel Shanghai accepts these cards and reserves the right to temporarily hold an amount prior to arrival. 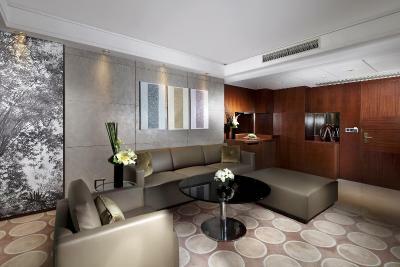 The Eton Hotel Shanghai accepts these cards and reserves the right to temporarily hold an amount prior to arrival. 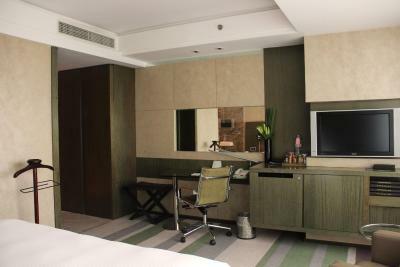 Amenities in the room such as coffee and tea quality can be improve. 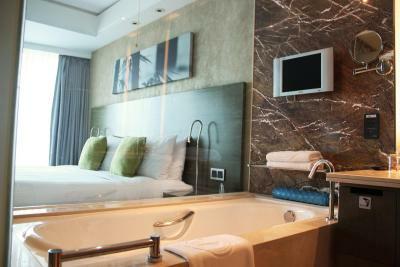 Has bathtub in the room. But do not have any form bath for my bath. Should have at least one more floor towel for the floor . One for outside the bathroom and the other one for beside the bathtub. The western part of the breakfast buffet was sub standard. Choice of western food on the breakfast buffet is limited. Gym is well equipped, but multiple machines were out of service, indicating a lack of servicing. Major construction out the front means it is currently messy out front. A fair hike if you want to be mainstream near the Bund and the tourists. Clean with great rooms, indoor pool and gym. 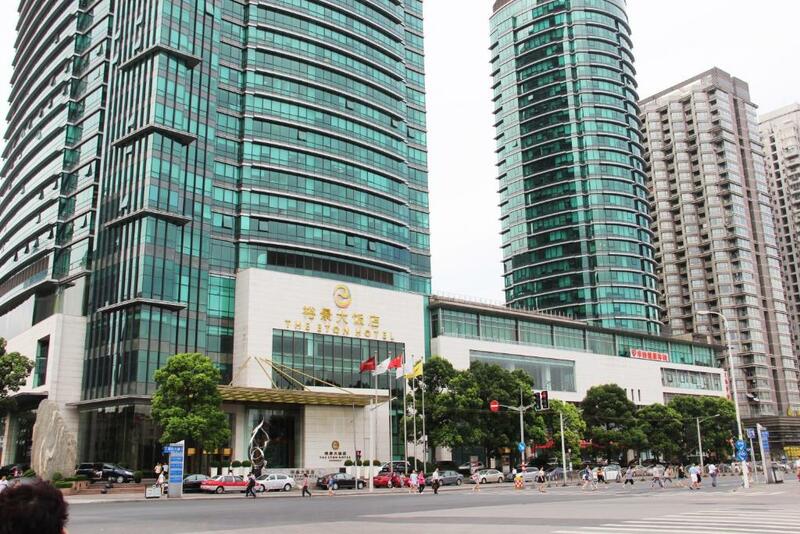 2 minutes from subway and a few eateries and bars. The rooms could do with a make over they are looking a little dated. The cost of a beer is probably 4 times the price in a convenience store which to me is a little over the top!!! Seems to be an old 5* hotel and maybe that explains the affordable rates. Hall carpets could be a bit more clean. We had breakfast one day and it was just average. it took me at least 20 minutes to check in. cannot believe it. 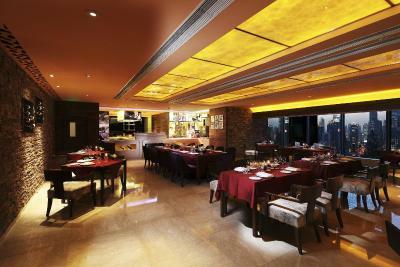 The location is good, near tube station.